Our non-toxic, lead free, child and pet safe products will guarantee you and your loved ones a safe place to play and make memories together. Rain or shine, our artificial grass systems will provide you a mud free, natural looking landscape that doesn’t require mowing, seeding or the use of harsh chemicals to stay clean and green looking, all year round. We only use Non-Toxic, Lead Free, Pet and Child Safe products on all of our installations. Finally put an end to the allergies that natural sod will bring to you and your family. 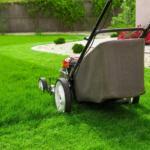 Stop wasting your time mowing, edging, watering and seeding. Always Green, Clean and Low Maintenance. A clean, green, non-toxic alternative to rubber or wood chips that will provide superior cushioning on landing zones while giving you the look and feel of natural grass.